You’ll never make money with free affiliate marketing training programs! Ignore them at all costs! Above is common advice from online business professionals to newbies or beginners. Even experienced affiliate marketers are afraid of free training programs. Should you avoid Free Affiliate Marketing Training Programs at all costs? My answer is NO. Hi! This is TQ. Here’s my profile. I have used these 10 free affiliate marketing training lessons to learn and build my successful online business. In the process, I have discovered that not all free affiliate marketing training programs are the same. Are you looking for ways to make money online with little or no investment? Let me show you how to use free affiliate marketing training programs to create a successful online business. You can grab a free copy of my guide on ‘How I Make Money Online‘ to learn all the steps that I have taken to become a successful affiliate marketer. Many free affiliate marketing training programs are a great way to learn new business skills and knowledge of making money online. These benefits are Free, and I think you should take advantage of them. I am not telling you to sign up for all free affiliate training programs. What I am going to do is quickly showing you which program to join and which one to avoid. You want to join the free affiliate marketing training programs that offer real business skills to help you achieve your dream, Make Money Online. But avoid all programs that offer unrealistic promises. Here’s how to know which free affiliate marketing program is right for you. How I Build An Online Business With Free Affiliate Marketing Training Programs? Not all free affiliate marketing training programs are the same. Some using the free account to trick people to sign up. These programs usually require payments information, like a credit card. This is not a free training program. The real free affiliate marketing program doesn’t require payment information and they offer free lessons upon finishing registration. Free online offers are marketing techniques used by businesses to attract potential customers. These offers allow the public an opportunity to try a product or service before making a purchase. Scammers also use free online offers to steal personal information from unsuspected customers. These free offers are designed to extract personal information from the public. Both free offers above have one single business purpose, producing income for the owner. However, the first one is a legitimate business transaction, but the second is not. The business reason behind free affiliate marketing training programs is to get you to try before you buy. You will likely encounter both types of free affiliate marketing training offers, Real and Scam. Real programs add value to your online business. Scammers steal your identity and ruin your business. As an intelligent investor, your ability to see a good deal vs. the bad deal is the key to affiliate marketing success. Real free affiliate marketing training program does not offer the moon and stars. It offers you the opportunity to try before you buy. I often hear this: “If you follow this training X, Y, and Z, you are guaranteed to make millions online!” Sound familiar? This is often used by scammers. It works well because the majority of people going online looking for a quick way to get rich with little or no work, and they want ‘guarantee.’ Here they got both. Intelligent entrepreneurs recognized that hard work and long-term commitment are required to build a successful online business. You can never fool me with a get-rich-quick scheme. Real free programs do not ask for payment information at the time of registration. They offer a chance to join after you have tested the program. ‘We need payment information to reserve you a spot.’ Scammers always push for payment information immediately. This is the only time they can get it from you. This is how you know a free training is a real deal. The real free affiliate marketing training programs do not guarantee success. They only offer a chance to test the program. Second, they never push for payment information at registration. Registration is always free. Now you know how to identify the real vs. scam. It is time to discuss how to use free affiliate marketing training programs for your own benefits. Free affiliate marketing training is the best way for beginners to acquire new skills and knowledge. If you want to be a successful affiliate marketer, training is your only option. Learning new business skills require the commitment of time and money. You cannot save time, but you can save money by using free affiliate marketing training programs. Free training programs are not designed to produce professional online affiliate marketer. They are designed to educate you about the process of making money online. These training programs provide the foundation for building a successful online business. Below is a free training video described the process of making money with affiliate marketing. If you are new to this, I suggest you watch this video. To become a successful online entrepreneur, everyone must start from the basic. The good news is, most basic training lessons are free. This is how I start my journey to financial freedom. I don’t understand why people would pay for a lesson when they can get it for free. Yes, there will be a time that you have to pay for advanced training lessons, but not for basic affiliate marketing training. Free affiliate marketing training programs are the best way to learn the art of making money online. Now, let me show you my personal way to financial freedom. I started out to make money online with zero knowledge and a $100 investment budget. I knew at the time that I needed some lessons on how to make money online, but I did not have enough money to join professional business training programs. So, I was forced to search for low-cost or no-cost training lessons. What I found on the internet were mostly paid training programs or programs that required payment information to join. Because I had no credit card, I could not join. I turned to online forums and communities looking for advice and tips on how to make money online. I did this for over a year, earning nothing and learning very little. 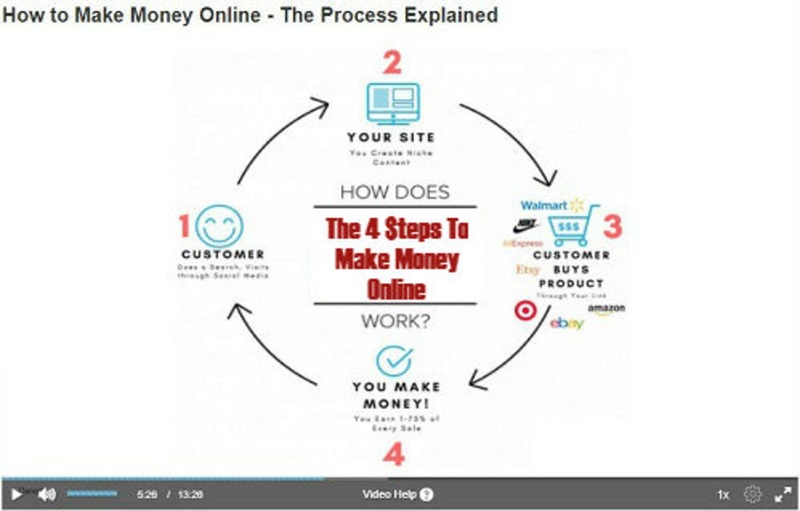 Then a friend from Facebook suggested a program called: ‘The 4 Steps To Make Money Online.’ He asked me to check it out. I was surprised to discover that this free affiliate marketing training program that is not only free to join, but it does not require payment information. Like everyone, I was very skeptical. It took me a week to decide and sign up for a free account. This was a life-changing moment. It was the first time that I received real online business training lessons. I started my affiliate marketing training with these 10 free lessons. I suggest you check these free lessons out. They are free. From these lessons, I learned how to create my own website, how to promote my online business to get visitors, and how to monetize my website to make money online, ALL ON A FREE ACCOUNT. I started to earn money online within six months after joining this program. My first affiliate commission was $8. A milestone, considering I was earning nothing for more than a year. I build my online business on the free affiliate marketing account for about a year before making enough money to pay for advanced training lessons. Today, I have made enough money to quick my job and work online full-time. I am still an active member of this free affiliate marketing training program. I am giving back to this online entrepreneur community for all the help and supports that it has given me. Paying Forward is the cornerstone of this free affiliate marketing training program success. This is the only free affiliate marketing program that offers free training with free one-on-one coaching from experienced online marketers like me. First, let get one thing straight. I am not asking you to join this program. I am sharing with you the free affiliate marketing program that has helped me to achieve my online financial success. There is nothing wrong with paid training. I just don’t have the money to take this route. Anyway, why pay when you can get it for free? When you have little money to invest or hire helpers, you have to build the business yourselves. This program teaches me to do just that. It can help you do the same. This free affiliate marketing training program offers you everything to start a successful online business. 2 Free Websites with lessons to build your own online business. You will need a website to make money online. This is the first requirement to make money online. You cannot promote or sell anything without a business website. 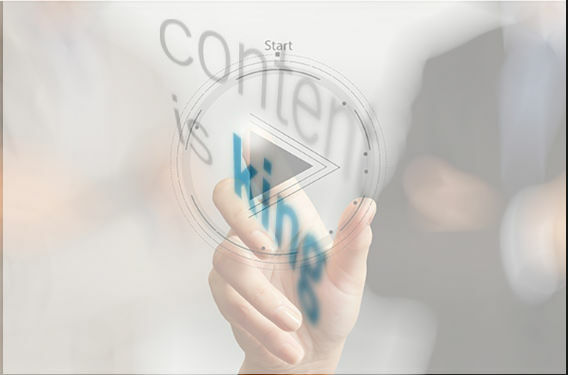 Free Keyword Research Tool and lessons to create ranking content. This is a very important part of ONLINE content marketing. Keywords are how people find your business through search engines. You need this tool to help you build a successful online business. Free lessons on website promotion to help attract visitors or traffic to your website. A website is just a website without paying customers. 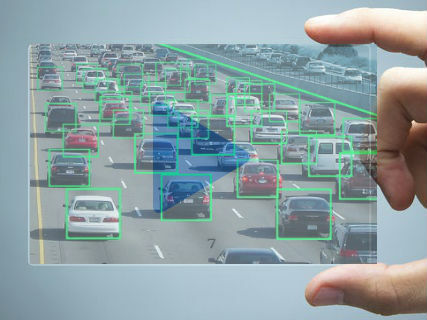 You need web traffic to make money online. With your free account, you can learn to generate free traffic to your website. 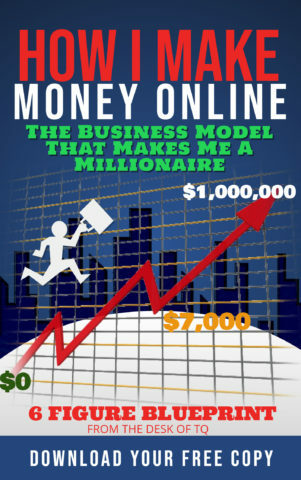 Learn to monetize the website the right way to maximize your online earning potential. This is the last step of the free affiliate marketing training programs. The business website is the primary tool to earn online revenues. 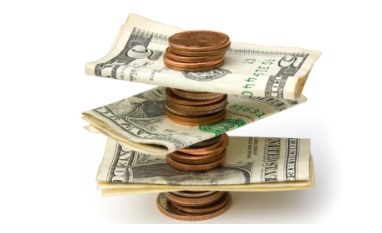 Every affiliate marketer must know how to monetize it correctly. This free affiliate marketing training program is designed to help you achieve online success. Unlike other free affiliate marketing training programs, you receive both lessons and tools to build a successful online business. It offers 10 free lessons that cover the entire process of affiliate marketing business. I recommend them to all those that want to earn money online, especially the newbies. This training program also has one special feature that allows free Members to earn money while learning to build their online business. I am not going to discuss this here. You can find out more about this inside the community. Click Here to learn more. I personally invite you to visit the #1 Free Affiliate Marketing Training Program to start your training. Now you understand why not all free affiliate marketing training programs are the same. Selecting a good training program is the right step to begin your journey to make money online. Very impressive and bold-hearted article I must confess. Not everyone can relate to using free affiliate marketing program to succeed online. I started with a free affiliate marketing program and it helped me learn a lot and build my foundation. I will surely be suggesting this article to lots of newbies who are my readers as well. This article is very encouraging and well done for putting this together. You have given hope those who think they cannot make money online by using free stuff. Yes, it will be tough to get going but with consistent effort, it will work. Richard, affiliate marketing is not a get-rich-quick-program. However, hard work and patient will turn you into millionaires. This is what affiliate marketing is all about. If you learn to build the right foundation, you are well on your way to build a successful future online. I absolutely love what I read in this insightful article because it is full of great information. This is fascinating and interesting to me. Becoming an affiliate marketers, one must belong to a platform that offers good training program. Thank you for visiting and reading the article. Yes, affiliate marketing is the best way to make money online. Hi, I knew I would love this article the very moment I saw the topic. Affiliate marketing training program is very vital and important to anyone who wants to make money through affiliate marketing. I have been able to go far with my online business website, it’s really a guide to whatever you want to achieve online. Affiliate Marketing free Training is need for everyone. Because, Everyone can take free training from here and make money. I am very happy for start training at Affiliate Marketing Training Program. Now I know that, why not all free affiliate marketing training programs are the same .Thank you so much for sharing important information. Wonderful to see you start the training. It is a great way to learn affiliate marketing business. Indeed there are so many affiliate marketing training tools out there and not all of them offer genuine advise. I like your comprehensive review of the free training tools. Would you recommend them for a complete newbie? Are there any measures one should take when considering these training tools? 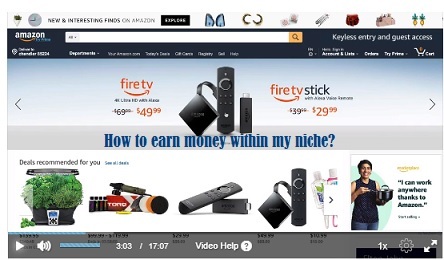 Thanks to Wealthy Affiliate for the rich training and tools that it offers its subscribers. I recommend the free affiliate marketing training program to anyone looking to build a passive income online, Newbies or not. The important step requires to build a successful online business is the foundation. The free affiliate marketing program gives you that foundation needed to build online success. When evaluating free online affiliate marketing program, never using a program that promises you a set amount of income per month or year. No one can tell you how much you will earn from your business. The more effort you put in, the bigger the reward. The free affiliate marketing training program is just a tool guiding you to achieve financial success. Loved the article. It really provides insight on how to capitalize on the internet and the easy ways to do it. I also went with the Wealthy Affiliate and I can testify that the platform is indeed easy to use and provides all the tools necessary to achieve success. My website is still new but it is growing every day and I am very confident about its potential. 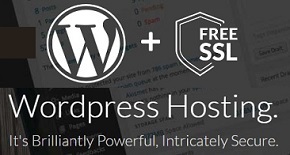 Regarding the free lessons, they work if you have experience in web hosting, but if you are a newbie it’s worth the little extra cash since it’s an investment and it saves you a lot of time. Thank you for pointing out about the hosting. Yes, this article is written about the free affiliate marketing program. I also have other blog related to creating a website and hosting which you can check out by visiting my blog page. Wow, an exhaustive article indeed. This article is exceptionally rich in information which are really helpful for online business professionals and newbies or beginners, even experienced affiliate marketer. Despite the rise in online scams, there still are legit ways of making money online and a great platform to offer real and genuine training for free, to offer that which is paid for for free. How I which I come across Free affiliate marketing training program at my start I would have been greater than this. But this post make me remember affiliate marketing is not a get rich quick scheme. I really appreciate all helpful knowledge in here. I will surely bookmarked this page for further reading. Thanks. Thanks for writing this article about free affiliate marketing training program,i must commend you for a well done job for taking your time to explain every details of it.you really have a rough start at wealthy affiliate but at the end of the day success is achieved ,wealthy affiliate is truly the right place to get the right knowledge and training without paying for it at first. Although I start as a premium member and I really gain another within few weeks I start. I can remember I create my first website in 2 months then I start scaling from there ever sign. Thank you for sharing your success with the free affiliate marketing training program. Wish you the best going forward.